Skerries Road Southway Campus in Plymouth comprises of 67 timber frame units supplied by local manufacturer and STA member Cornwall Timber Build. 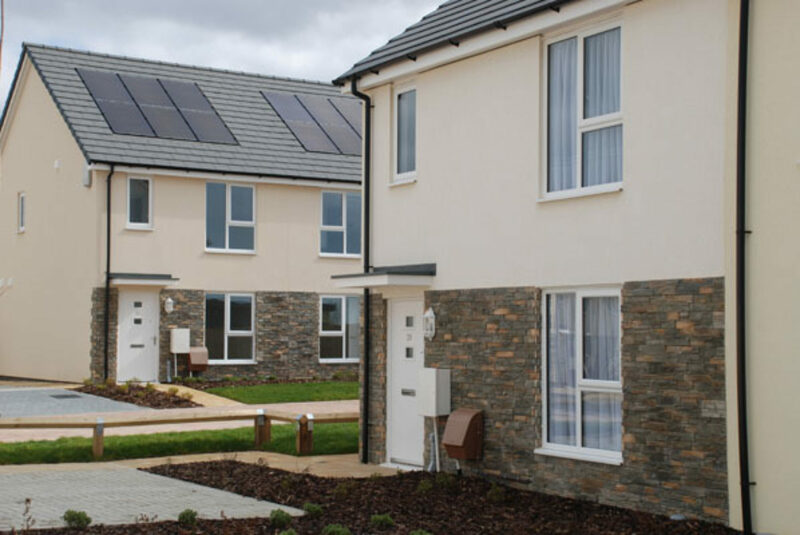 The £8.3 million, 100% affordable scheme for client, Plymouth Community Homes, was won via a JCT design and build two-stage competitive tender by Galliford Try Partnerships South West. The scheme was built on a brownfield site (former school) with a pedestrian access route running through the site. Galliford Try Partnerships procured the works in a collaborative manner by adopting the ethos of Constructing Excellence South West by negotiating the external façade requirements in a non-competitive method, subject to previous successful applications through the Cornwall Land Initiative programme with CESW members, SPSenvirowall and C&P Plastering contractors Plymouth. Originally a traditional block exterior, local practice, Mitchell Architects, who are experienced in the use of RendaClad, changed the design to accommodate the innovative façade. 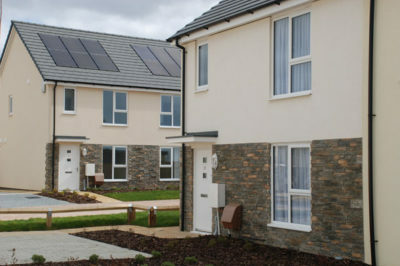 The programme was delivered 3 months ahead of schedule on the overall contract when utilising a form of modern methods of construction with the use of SPSenvirowall’s RendaClad. 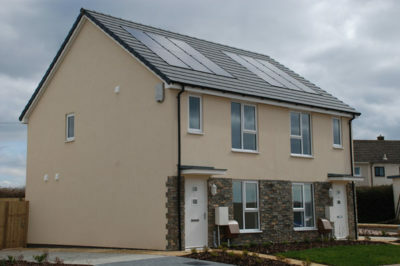 With client and contractor embracing change, away from struggling traditional products, skills and labour, they benefitted from delivering ahead of schedule and seeing the preliminary savings to the main contractor whilst increasing the revenue to the client with early rental income and properties being accommodated ahead of the original programme. By utilising RendaClad, what would have been a delivery of traditional blocks by 70 articulated vehicles for the external outer leaf was reduced to only 4 loads to deliver the proprietary rain screen solution carrier board. 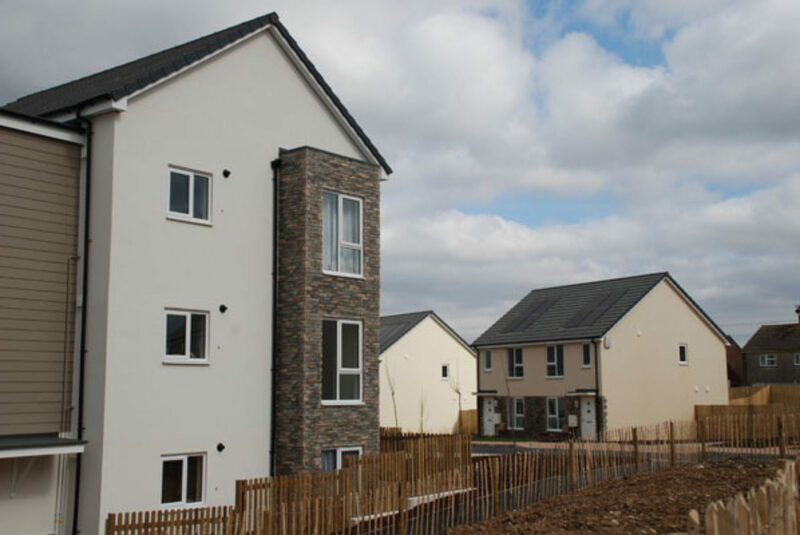 This saved significant embodied energy within the manufacturing process of blockwork and a reduction of CO2 emissions with the reduced transportation. Adaptions to the substructure package resulted in financial savings and the reduction of removal of land waste due to the lightweight nature of the superstructure and façade finish. Whilst not satisfied with the BBA for a minimum 30-year service life, SPSenvirowall went into contract with BOPAS BLP and Lloyds Register to become the first sole supply chain manufacturer to achieve a stand-alone assurance, providing a durable and reliable system in excess of 60 years. The advanced technology of the façade finish will see savings to the client within their asset management programme by reducing the required maintenance of the solution over its expected life cycle.